On Thursday, Senator Jeanne Shaheen (D-NH) attempted to compare Colorado Springs Planned Parenthood shooter Robert Lewis Dear to the pro-life movement. 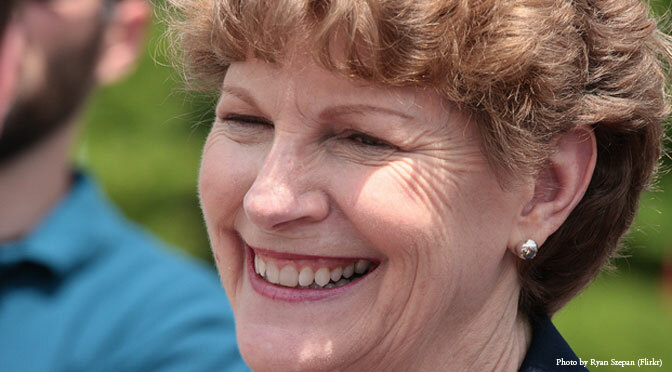 Shaheen was referring to Dear’s courtoom declaration, “I am a warrior for the babies.” However, the pro-life movement widely condemned Dear’s killing spree, as it has past acts of violence against abortionists. Further, the details of Dear’s life that came to light following his crimes indicate a man largely isolated from society, with a history of mental instability and legal trouble. During her 2014 run against pro-choice Republican Scott Brown, Shaheen herself employed rhetoric her critics blasted as extreme at the time, particularly in an ad accusing Brown of opposing birth control access for women and voting to force them to view ultrasound images of their babies. The Shaheen campaign withdrew the ad when it was revealed that the ultrasound requirement in question required abortionists to offer the images, but would not actually force women to look.